Three years after tainted meat led to a deadly listeriosis outbreak and the largest food recall in Canadian history, victims and their families are still waiting to receive compensation agreed to in an out-of-court settlement. As she prepares for a big Thanksgiving weekend with family and friends, Karen Clark is still haunted by the vision of her mother Francis lying in a Belleville, Ont., hospital gasping for breath in the summer of 2008. Francis Clark was one of 23 people who died of listeriosis after eating meat from a Toronto-area Maple Leaf Foods processing plant. "It was awful. The stare. She wasn't even blinking. She looked like a fish that had been laid up on the shore." The tragedy resulted in two investigations and a settlement. 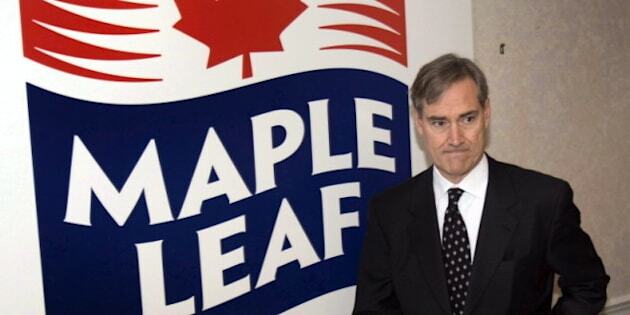 Though he had disparaged lawyers in the case who were planning to sue, Maple Leaf Food president and CEO Michael McCain agreed to pay out up to $27 million to victims who got listeriosis that summer, and their family members. The settlement was announced in January 2009. It was up to individuals who lost family members and numerous others who got sick to file their claims in a formal, legal process administered by an Ottawa-based law firm. Karen Clark says the $90,000 she expects to receive won’t bring her mother back, but would be a way of putting the events of August 2008 behind her. She had expected to receive the money last year. Now Clark is being told that she may get the money this fall. Asked for clarification, the lawyer handling the case referred CBC News to a website established to keep the claimants up to date. "Once ALL claims, arbitrations and appeals have been completed," the site reads, "the Administrator must report to the Courts on the proposed total amount payable to ALL approved claimants and no money shall be paid by cheque to anyone until Court approval. No cheques have been mailed or will be mailed until the Courts order us to do so. "We are presently aiming for the fall of 2011 but cannot guarantee the timing," the statement continues. "It may run a few months later than this, we simply cannot say with absolute certainty." The news that family members like Karen Clark are still waiting for their settlement surprised some of those involved in the case. "I’m shocked to hear that that money is not in the hands of those who have suffered," said Liberal MP Wayne Easter, who was a member of the special committee of MPs who studied the listeriosis crisis. "The reason for the settlement was two-fold: the families didn’t want to go through a long, drawn-out court case, which only increases the hurt and the agony and pain as the result of somebody’s death. "And in fairness to the company involved, it didn’t want to go through a long, drawn-out court case that's going to be bad for its reputation and costly. So you come to a settlement — but a settlement so that the money can get out there in a timely way. And this long after the fact is not timely at all." There have been many other personal injury class-action suits over the years involving products such as breast implants, prescription drugs and medical devices. "They’re more complicated and they take longer to settle without a doubt," says Sylvie Rodrigue, chair of the Canadian Bar Association’s national class action task force, who has also represented companies being sued by victims. "Because it's not just like showing up with your invoice. It's not like I bought that toy and it was recalled and can I get my money back. That's easy to administer. When you have to administer medical conditions, it takes time." Karen Clark said she can understand that there can be complications, but she's getting tired of waiting. The delay in concluding the court case forces her to relive her mother's last painful hours. She can't shake the image from her memory. When she receives the money, Clark plans to renovate her home that has been in family for generations. "I want to keep the homestead strong, because when I'm done with it, it will go to my son." In the meantime, she's turning her attention to Thanksgiving dinner, a time when her mother baked raspberry pie and revelled in the company of family and friends. "I'm going to feel the loss this weekend. I sit now at the head of the table instead of mother. She always sat at one particular spot on the table. She was the matriarch."